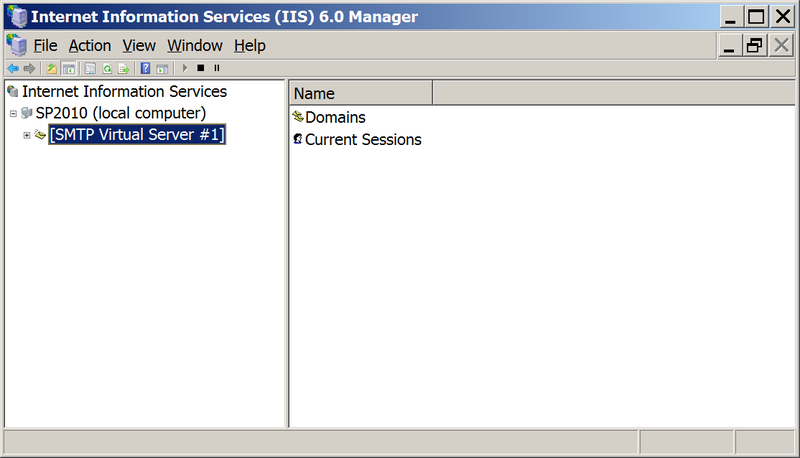 In this post we will configure the SMTP virtual server in Windows Server 2008 R2 to relay mail using Google. 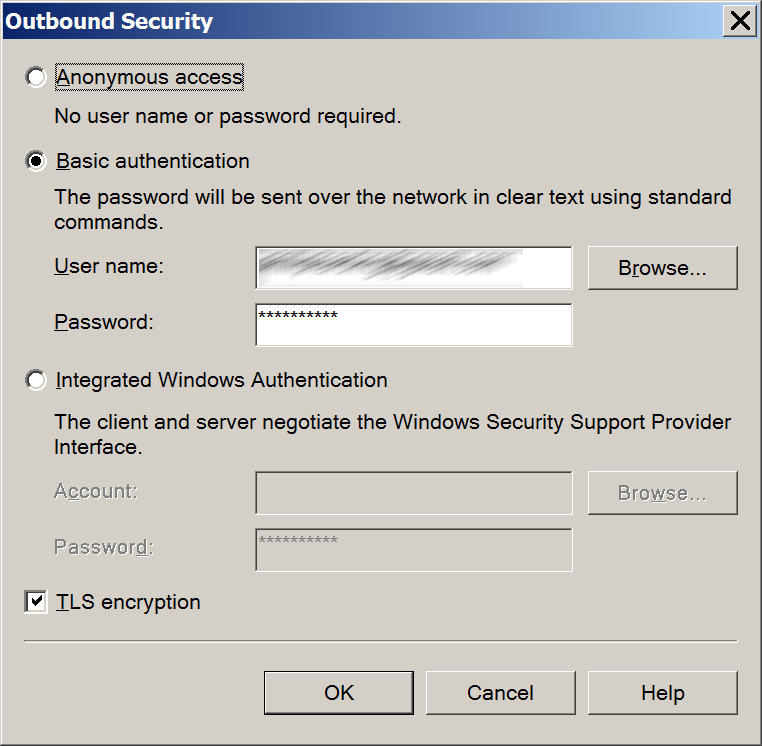 Set your preferences for access and connection control and also relay restrictions. 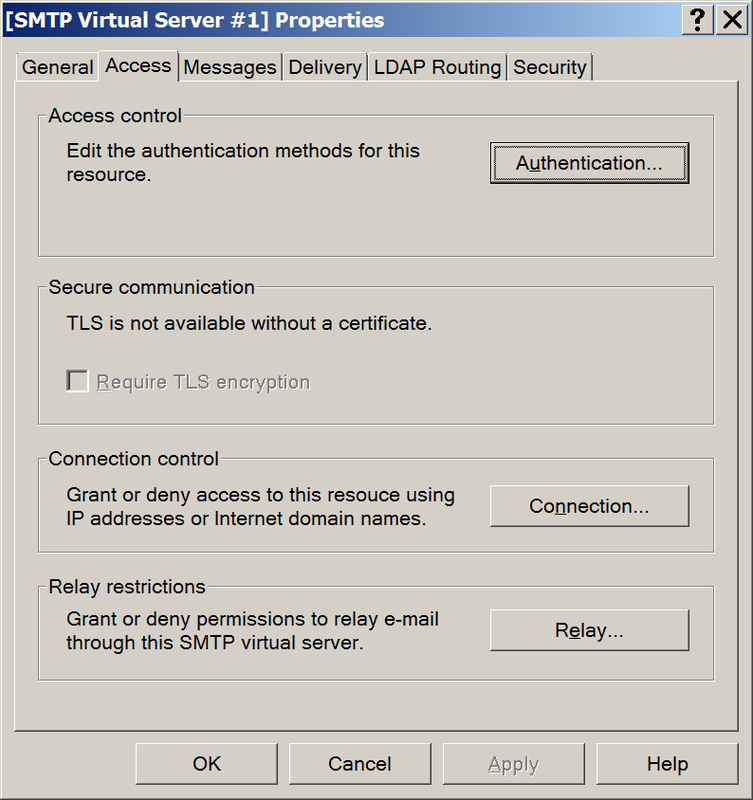 Select Basic Authentication and enter your Google user name and password, then check “TLS encryption” and click OK. 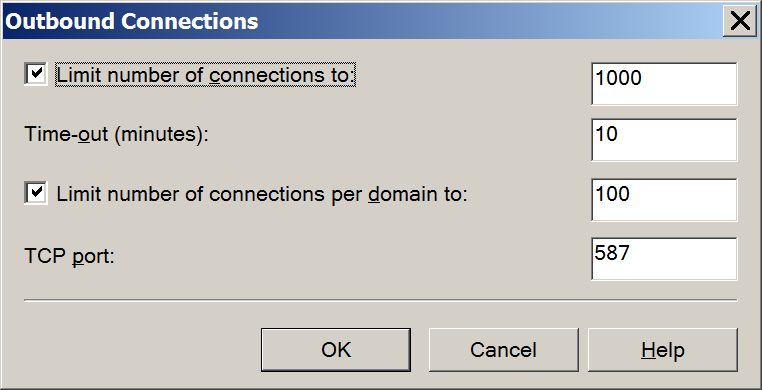 Enter 587 as the TCP port, click OK. 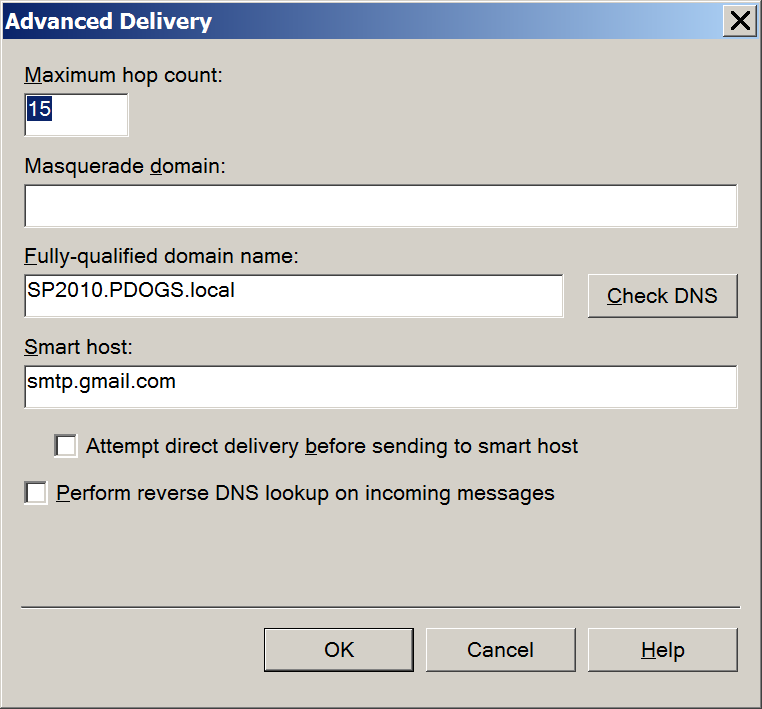 Enter smtp.google.com as the Smart host, click OK.
Click OK and you’re done.